reading tutoring Archives - Pride Learning Co.
1. 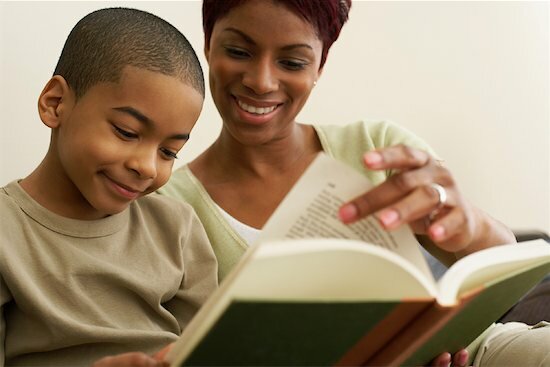 Will the reading help my child receives be provided by a trained teacher, paraprofessional or a parent volunteer? In many schools parents are trained to work as parent volunteers and aids to help the students who are struggling. 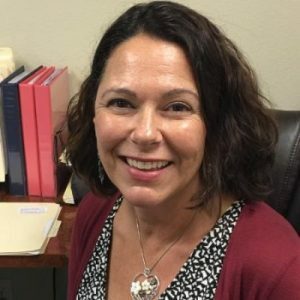 If your child has been diagnosed with a learning disability, or you suspect a more severe issue than the school is acknowledging, then you will probably want to decline any reading help that is not from a highly trained reading therapist or reading specialist. A child with true learning difficulties will need instruction delivered by an experienced expert using an effective method for sufficient time for the child to catch up to grade level. 2. What specific reading help will my child be receiving? A child with a reading disability will need a multisensory, systematic, very structured and cumulative reading program with direct and explicit instruction in phonemic awareness and followed by synthetic and analytic phonics with lots of repetition and practice. It will need to integrate the teaching of listening, speaking, reading, spelling, vocabulary, fluency, handwriting, and written expression. Also, remedial programs differ from “mainstream” programs in the extent to which phonology and language structure are explicitly taught. For best results, avoid reading help that teaches your child the material in the same way he or she was taught the first time around. That didn’t work. Also avoid programs that allow too many kids in the group. The idea is that your child needs more individualized attention. 3. What kind of training in this reading help does the teacher delivering the instructions have? Although the choice of reading program is important, the expertise and training of the teacher are even more critical. Attendance at a 2 day workshop is probably enough to gain an overview of an approach, but to be truly competent at using this approach, a teacher or therapist should have completed at least 20 – 30 hours of training as well as plenty of experience teaching the program. 4. What will my child miss in the classroom while he gets this reading help? Being pulled out of class can be challenging for students, especially in the middle school years, since they might have to make up material that they miss in class and might receive lower grades in subjects in which they normally do well. 5. Can I come and watch a session? Check out the teacher, the program and the other students. See if this is the right fit for your child and if the reading help is working and delivering results. As the school year ends, many students are busy during the summer months with camps, play dates, recreational activities and vacations. Some students might even be bored during the long summer months. When summer ends, students go back to school and often forget much of what they learned the previous year. This is what we call the summer learning loss. Studies show that summer loss for all students equals about a month of academic learning. For students with learning disabilities, this loss may amount to as much as 3 months! Weaknesses in memory, processing speed, attention and language cause valuable skills to weaken rapidly. As a result, students will have to spend more time reviewing at the beginning of each school year in order to catch up. Continuing instruction during the summer months can help greatly reduce learning loss as well as gives students the opportunities to dedicate more time than is possible during the school year to remediate and get ahead. Students can make amazing progress during these long summer months! 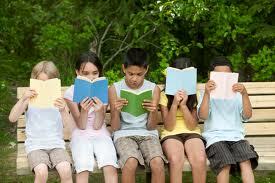 Pride Learning Center offers Reading and Writing Summer Programs for students of all ages. We offer an intensive Orton-Gillingham reading and writing program (3 hours M-F), as well as standard sessions (1 hour once or twice a week) between June and August. Our Pride Intensive offers the most dramatic results. Our reading specialists will provide the needed support to get students at grade level during the long summer months. Your child still gets a summer break, as sessions are typically only 3 hours a day five days a week depending on family choice and goals established at the initial consultation. There are still plenty of hours in the day to play, go to the beach or just relax. Summer is such a great time to review material and get ahead on next year’s curriculum! We offer programs in reading, writing, spelling and comprehension for those students who want to attend Pride once or twice a week. Pride’s early intervention program will teach your child to read and get ahead in school. By working through our multisensory, Orton-Gillingham reading program step-by-step, your child will learn alphabetic knowledge and understanding of the alphabetic principles in a fun yet structured environment. Your child will receive a strong and solid reading foundation that will last a lifetime. Pride’s multisensory, Orton-Gillingham reading and spelling program is action oriented and involves constant interaction between our Reading Specialists and your child. Each student at Pride learns to read in a systematic, cumulative, structured and step-by-step process. Each lesson encompasses the skills of decoding, encoding, fluency and reading comprehension. Your child will become a strong and independent reader. Pride’s highly successful research-based Reading Comprehension Program teaches students to draw meaning from text and to verbally express their understanding of it. Utilizing nonfiction-reading passages on a variety of subjects, the skills that are taught prepare students for standardized tests and provide valuable practice in nonfiction reading knowledge on a wide range of subjects. Pride’s writing skills program effectively teaches essential skills in careful order: from parts of speech, to sentence structure, to paragraphs, to complete essays. For the reluctant beginning writer, our program provides the essential foundation in thinking and writing skills. For the more proficient and advanced writer, it offers opportunities, strategies, and techniques to apply them.